Thanks to the understanding of our customer`s needs, we offer Guaranteed Cargo as an option to obtain the highest boarding priority level for the cargo in the dates and flights scheduled. 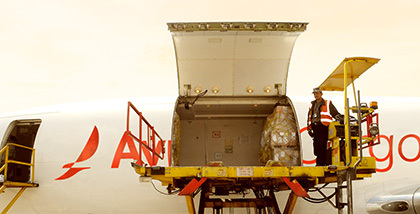 With this service we ensure that your cargo is shipped on the scheduled date and flights, through a contract that has a performance guarantee (if your cargo is not flown as booked, we will reimburse the airfreight). In order to coordinate all the details for this service you must contact your local sales representative, at least 15 days before the first shipment. This service is available for non-recurring shipments that require the highest boarding priority. In order to coordinate the details of these shipments you must request your booking at least 24 hours before the estimated time of departure of the flight of your choice.